My Niece's First Dolls! ~ Diane's Vintage Zest! Today, I am sharing one of my "friends and family" posts as this week's theme! This is the only picture I have of the dolls because I was too engrossed in our lesson to take any pictures. Silly me! 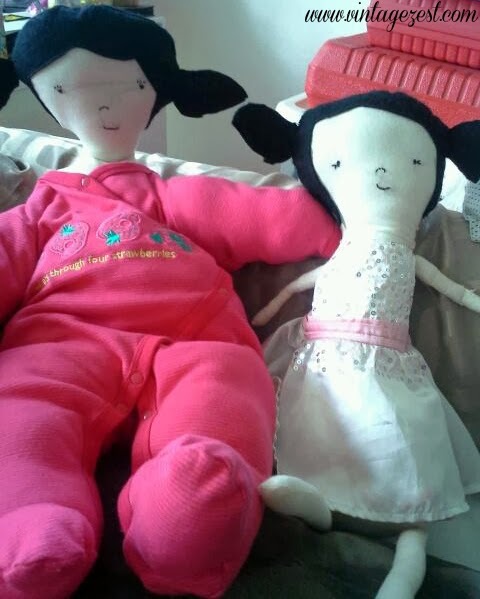 The whole reason for the dolls is because my cousin had some of my niece's old baby clothes that they wanted to display. I already had the doll pattern for Simplicity 1900 below, so it was perfect! We have sewed together since then once more, and she sewed a tiny pouch using some scrap fabric. Yay! 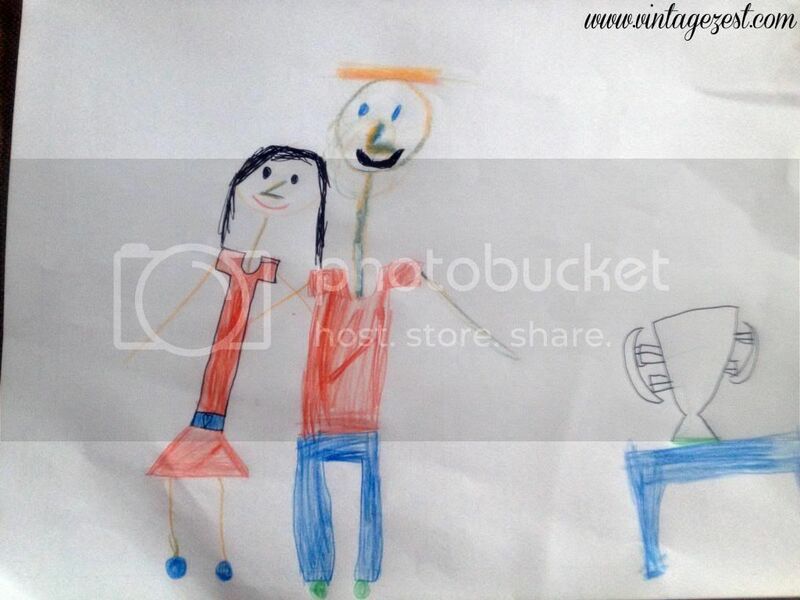 Because I was short on pictures, here is a picture she drew of me and my guy along with a champions cup for... being the best aunt? Sure! These are adorable! What a lucky little girl to have you as her aunt. Love your blog! First time visitor and I immediately am a huge fan!!!! Keep up the amazing work! Aw, thanks for sweet comment. :) I'm so happy to have you as a follower! Cute! Doll making is so much fun. It's good to pass it along! Your niece did a wonderful job! I've had a similar interest in helping my nieces get interested in sewing too. They asked for a beginner sewing machine for Christmas this year, so of course auntie had to get it for them. 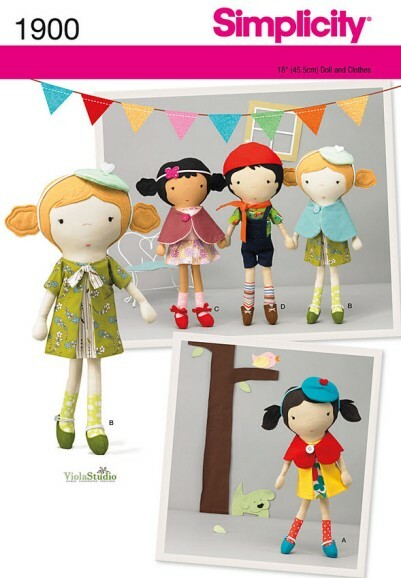 Diane your dolls are adorable! Thank you for sharing them at Inspire Me Monday!